MRMS Presents: "James and the Giant Peach"
When James is sent by his conniving aunts to chop down their old fruit tree, he discovers a magic potion that results in a tremendous peach... and launches a journey of enormous proportions. 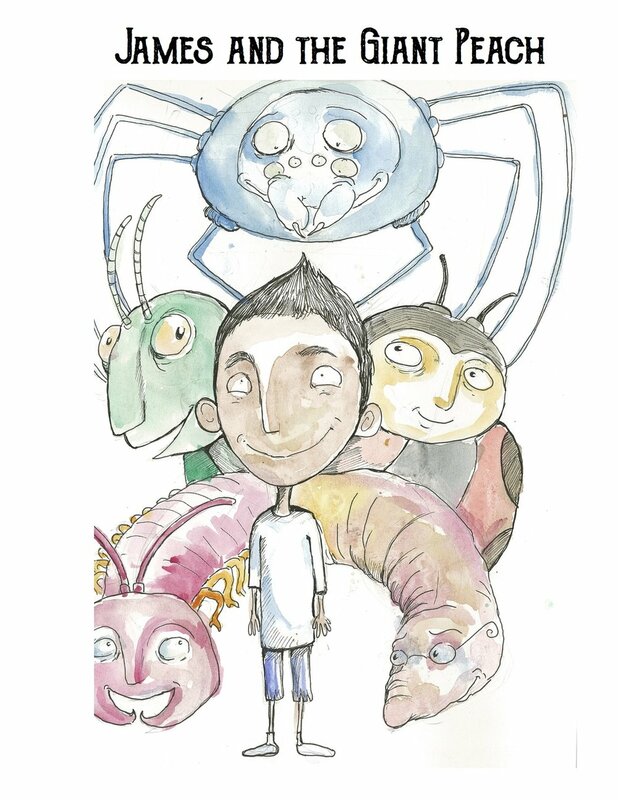 Suddenly, James finds himself in the center of the gigantic peach – among human-sized insects with equally oversized personalities – but, after it falls from the tree and rolls into the ocean, the group faces hunger, sharks and plenty of disagreements. Thanks to James' quick wit and creative thinking, the residents learn to live and work together as a family. The dangerous voyage is a success, but the adventure takes a whole new twist once they land on the Empire State Building. Get your tickets now for Miles River Middle School's presentation of Roald Dahl's "masterpeach" of a tale about a boy, his insect friends and their courageous journey across the ocean on a giant piece of fruit.